For the 13th time in 15 years the Quinnipiac Bobcats Men's Ice Hockey team won the Heroes Hat as they defeated their rival Yale 3-2 before an energetic crowd of 3,695 at High Point Solutions Arena. 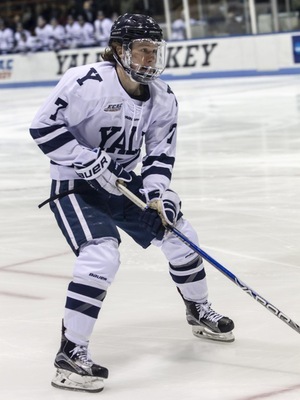 Its the ninth time they have won the Heroes Hat over Yale. The other four times were against UConn. Coming into Friday night's game the Bobcats still had an outside chance at a first round bye with some help. Rand Pecknold's squad did their part but they didn't get the help from Dartmouth as they fell 5-4 in back and forth game against Saint Lawrence giving the Saints the final first round bye. 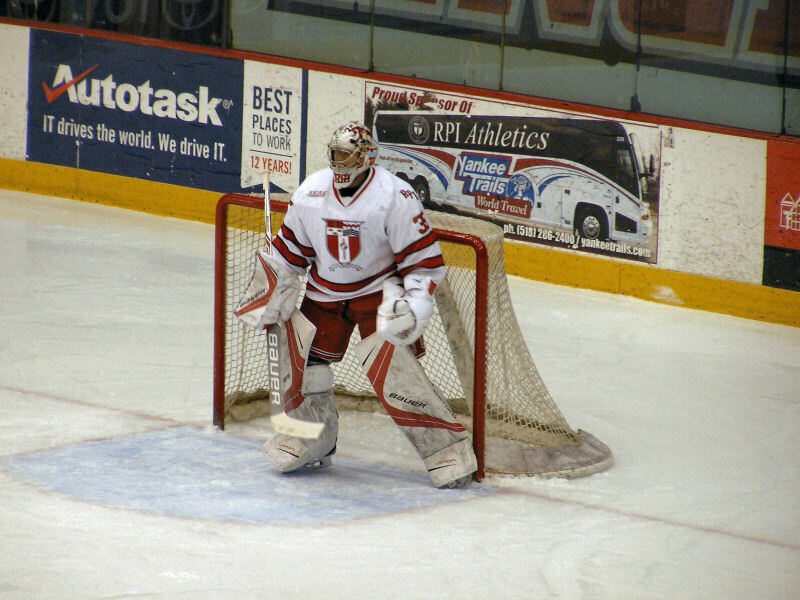 Pecknold turned to freshman Andrew Shortridge who has played well of late for the Bobcats in goal. 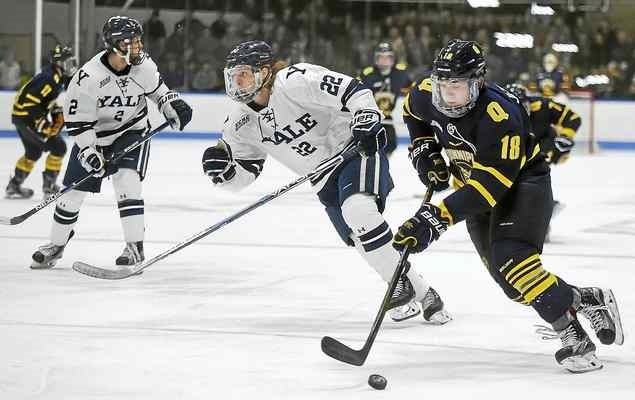 Quinnipiac got off to a fast start in this one when Yale's Chris Izmirlian took a foolish goaltender interference penalty just a 1:20 into the game. 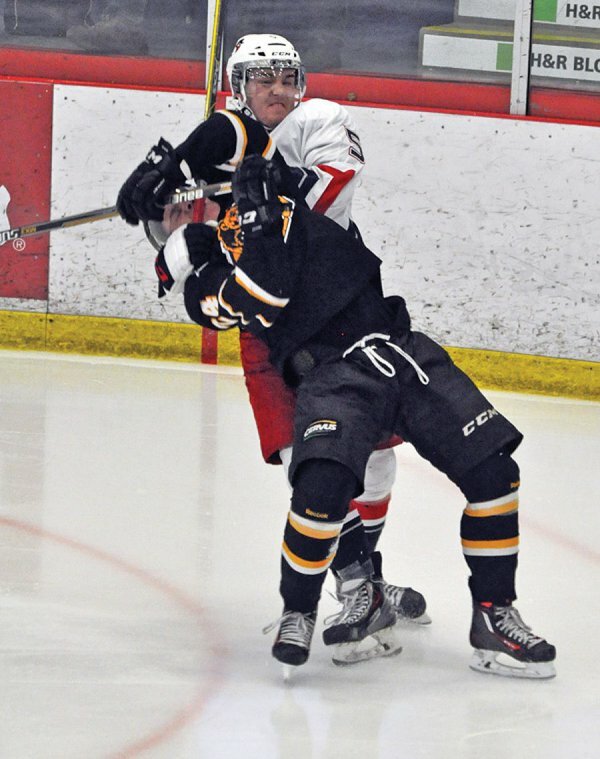 The Bobcats capitalize not even a minute later when Craig Martin took a Tim Clifton pass who wristed one past a screened Sam Tucker for the goal. It was Martin's ninth tally of the season while Brogan Rafferty picked up a secondary assist his team leading 21st. Three minutes later Quinnipac was right back on the power play due to a Dan O'Keefe hooking call and just a minute into the power play it was Bo Pieper who struck for the Bobcats again on the man advantage when he cleaned up a Thomas Aldworth shot that Tucker could not handle. Connor Clifton also picked up an assist on the goal. The Bobcats killed off two Yale power plays towards the later half of the first period. Landon Smith scored an unassisted goal with thirty seconds left in the period when he went top shelf past Tucker giving the Bobcats a 3-0 lead heading into the locker room. Quinnipiac out shot the Bulldogs 14-6 in the opening frame. 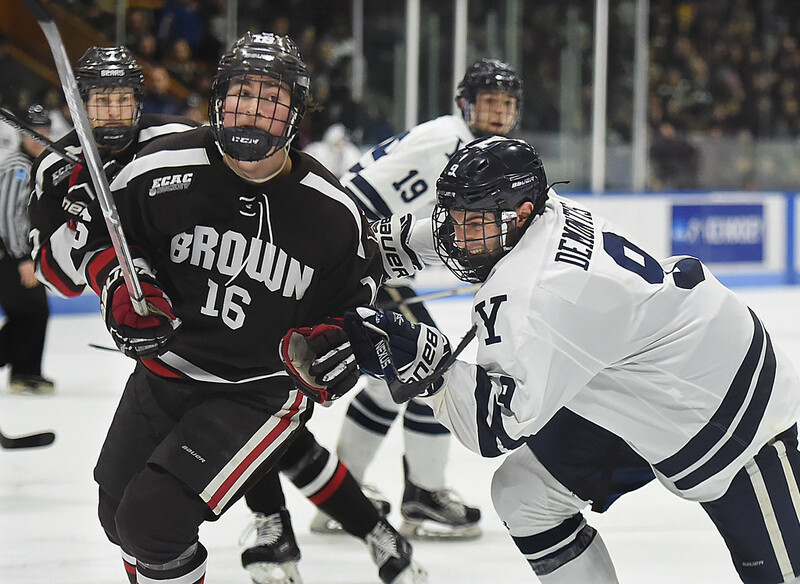 Yale trimmed the lead to two goals just 21 seconds into the second period when John Hayden was all alone in the slot and put it past Shortridge for his 19th goal of the season. Joe Snively and Frankie DiChiara picked up the assists. Both teams traded early power plays to no avail. Yale carried the play throughout the majority of the second period putting many quality chances on Shortridge but the freshman stood tall especially when he came up huge on a Joe Snively breakaway chance to keep the score 3-1 along with another massive save with just under five minutes to play in the period. With a just a minute and a half left, Yale's Evan Smith cut the lead to one on his fourth goal of the season on an assist from Andrew Gaus. The Bulldogs also hit iron with less than ten seconds to play in the period before the horn sounded. Yale only out shot Quinnipiac 9-8 that period but had more higher quality chances on goal. The third period brought a lot of back and forth play between the teams. Five minutes into the period, Shortridge made another big save on a Yale two on one opportunity. 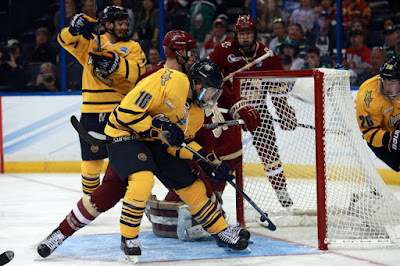 Quinnipiac had a golden chance to extend the lead in the third period when they had a 5 on 3 power play that was ended less than a minute later when Kārlis Čukste took a tripping call. 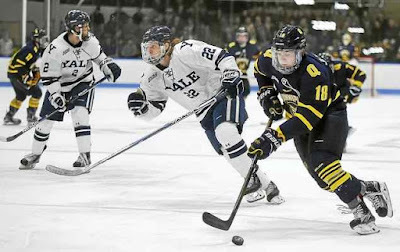 The teams played at even strength pretty much the entire rest of the way outside of a Yale too many men on the ice call half way through the period. Shortridge was strong for the Bobcats in the final frame saving all six Yale shots to finish with 19 for the game. The Bobcats also blocked 19 shots and Tim Clifton was dominant in the face-off circle winning 20 of 23. With the win the Bobcats clinched the 5th seed in the ECAC tournament and will have home ice in the first round of the playoffs. Its the first time since the 2011-2012 season that Quinnipiac will be playing on the opening weekend of the ECAC playoffs. The Bobcats return to the ice for senior night tomorrow when they take on the Brown Bears the team they will face in the first round of the ECAC tournament. The last road game of the regular season takes the Quinnipiac Bobcats to Troy, New York to face off against the RPI Engineers. It's been far from a glamorous season for the Engineers more like a nightmare. However you have to give RPI credit. They are 3-5 in their last eight games with wins over Harvard and Clarkson to boot and even in the five losses each game was a one goal loss except Dartmouth which scored an empty net goal to win by two. Prior to the win over Harvard it looked as if the team was mailing it in with five blowout losses in a row but since the indefinite suspension to sophomore goaltender Cam Hackett, RPI has played much better. Quinnipiac won the first meeting in Hamden 4-1 back in December. 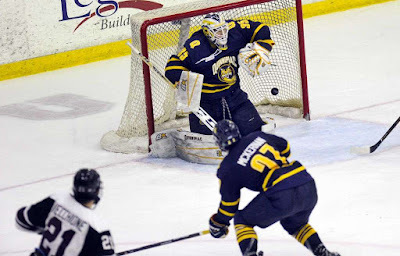 All-time Quinnipiac is 13-5-9 against RPI. The Engineers have struggled all season to generate offense as they are averaging 2.16 goals per game which is good for 56th in the country. In the last eight games they are averaging 2.50 goals per game. 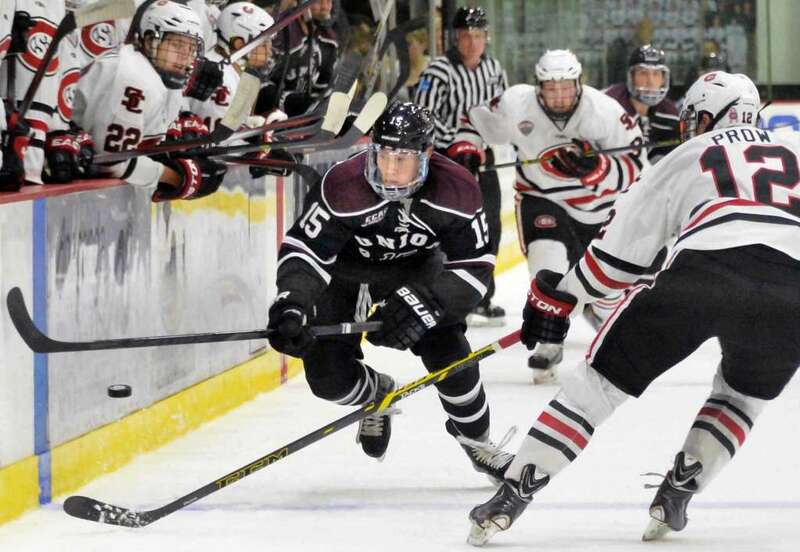 The leading scorer for the Engineers is sophomore Evan Tironese with 25 points (6 goals and 19 assists). Senior co-captain Riley Bourbonnais leads the team in goals with 13 and has a 24 points in total. 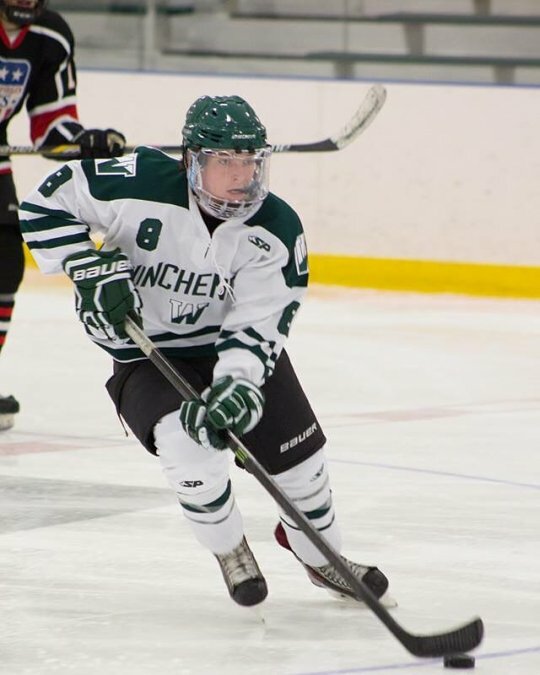 Some of the younger forwards have started to contribute like freshman Jacob Hayhurst with 17 points (6 goals and 11 assists), sophomore Brady Wiffen with 11 points (4 goals and 7 assists) and freshman Patrick Polino with 9 points (4 goals and 5 assists). 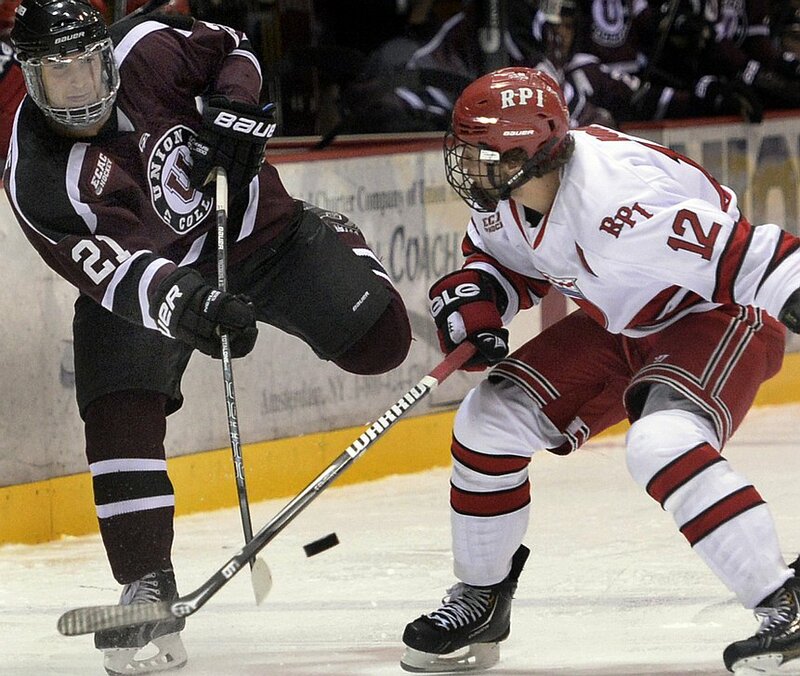 These players give some promise to the future of RPI hockey. Juniors Viktor Liljegren and Lou Nanne have 14 and 10 points respectively. RPI is one of the better teams on the power play as they ranked 12th in the country converting on 20.86% of their opportunities (29-of-139) which is surprising considering the lack of offense they have produced this season. Keeping the Engineers off the power play would give the Bobcats a big leg up in winning this game on the road as they don't want to give RPI extra man opportunities where they can change a game. 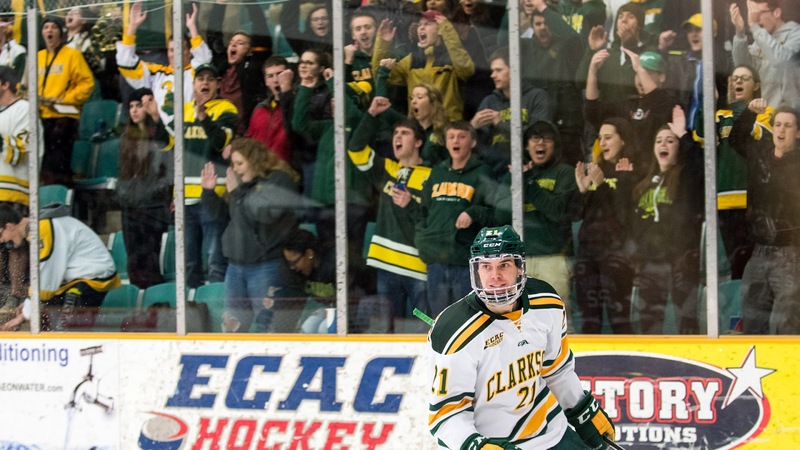 While RPI has struggled defensively this season to a tune of 3.65 goals against per game which ranks them 56th in the country, over their last eight games they are giving up only 2.25 goals per game which shows how much they have improved and along with giving a good effort on the blue line. Every single RPI defenseman is a minus player but a lot of that has to do with how poorly they played over the first half of the season. Juniors Jared Wilson (13 points) and Mike Prapavessis (12 points) are the teams 5th and 6th leading scorers respectively. Both are threats to score on the power play as well. 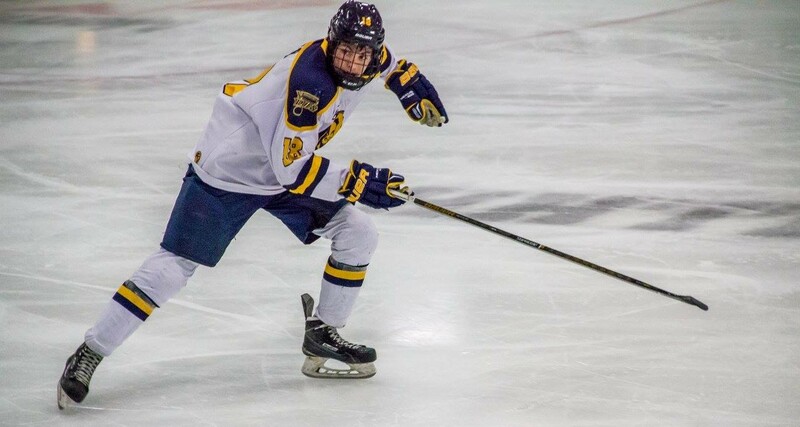 Freshman defenseman Will Reilly has also shown some promise from the blue line contributing with 10 points (1 goal and 9 assists). The RPI defense bring very good size and they will need to play physical with the Bobcats smaller forwards yet they need to avoid the penalty box like they did in their previous match-up when they took 14 penalties for 28 minutes. The Bobcats scored three power play goals in the last meeting and RPI doesn't have the best penalty kill either at 79.8% (130-of-163) good for 46th in the country. A lot of RPI's better play has been due to the emergence of sophomore Chase Perry who took over full time when Cam Hackett was suspended indefinitely. The Colorado College transfer and draft pick of the Detroit Red Wings has a goals against average of 2.00 over his last eight games with a shutout of Beanpot champion Harvard to boot. 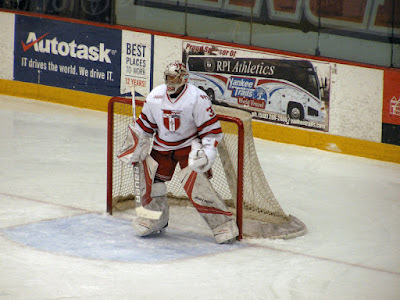 On the season he is 4-16-1 with a 3.20 goals against average and a .912 save percentage in 22 games played. He brings NHL size in goal and very good athleticism as well. He will present a challenge for the Bobcats on Saturday night as he has shown he has the ability to win his team a game against better opponents with the Harvard game as the greatest example. Expect this game to be very competitive between these two teams as the previous meeting was a very physical affair. RPI is playing quality hockey at this point in the season and giving a much better effort than we saw in the first half of the season. Quinnipiac has been inconsistent since returning from Belfast and really hasn't found its groove yet at this point in the season. 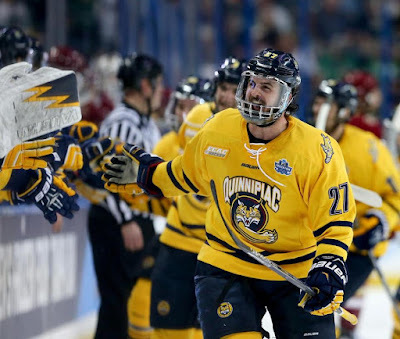 While this is a very winnable game for Quinnipiac, it would not be shocking at all if RPI came away with a win as they have shown a lot of fight when they could have mailed it in after the new year. Quinnipiac heads to the New York capital district this weekend for the last road trip of the regular season to take on Union and RPI. First up is the Dutchmen of Union College. The current leaders of the ECAC with 27 points, Union controls its own destiny for the Cleary Cup but the race is tight with four teams separated by just two points so its the regular season title is still far from being determined. 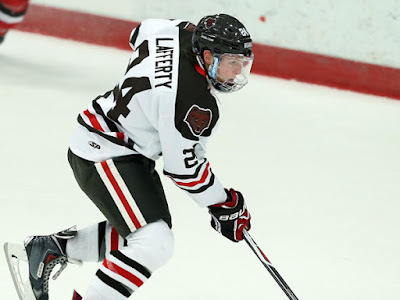 Rick Bennett's team comes into this game having lost three of their last five games to Saint Lawrence, Cornell and Harvard respectively who are the three teams directly below them in the standings. 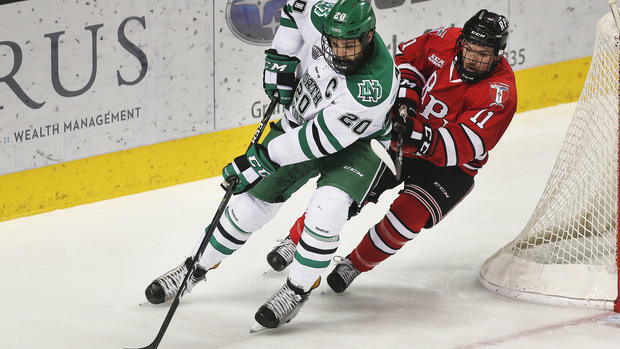 At 11th in the current pairwise rankings, the Dutchmen are not a lock for the NCAA tournament just yet. 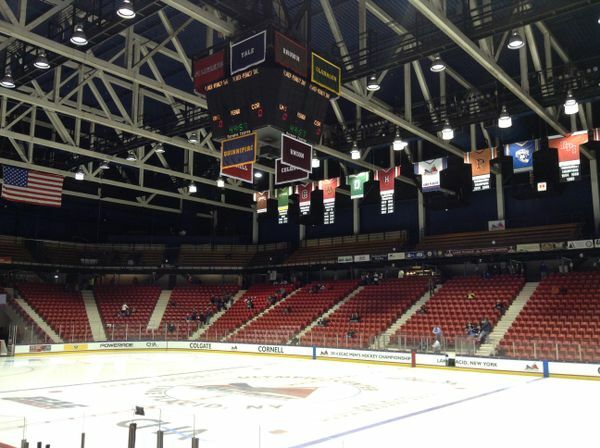 They have big wins over Harvard and twice against Vermont but do not have any other resume building wins of note. They don't have any bad losses either. Their worst loss was probably to Michigan in the second game of the season but the Wolverines were ranked 11th at that time. Union can ill afford to slip up this weekend against either Quinnipiac or Princeton as that would hurt them in the pairwise standings. 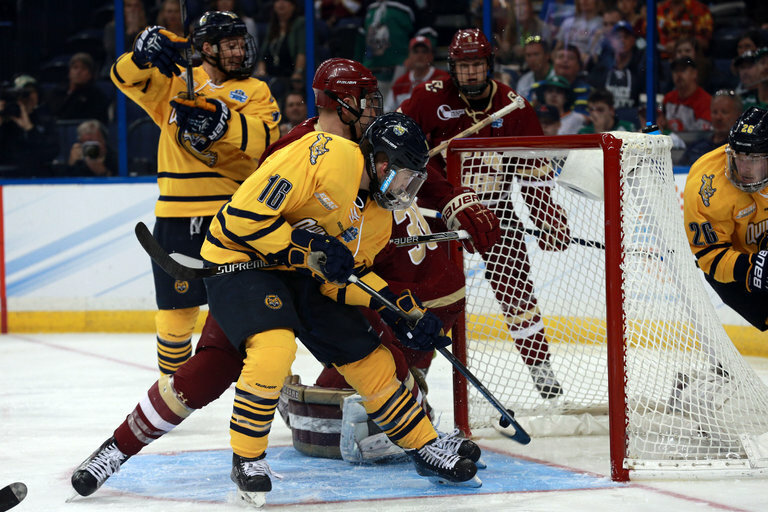 For Quinnipiac they have a slim chance at the Clearly Cup but could easily be eliminated from contention for that this weekend. 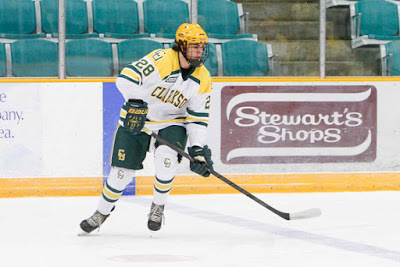 At this point at 22nd in the pairwise rankings the only door to the NCAA tournament is through Lake Placid and winning the ECAC tournament and they would likely have to do that without a first round bye as they are currently in fifth place in the ECAC standings with 21 points. Quinnipiac dropped their first meeting of the season to Union 5-2 in Hamden and all-time against the Dutchmen are 15-12-4. Union has one of the most impressive top lines in the country in senior Mike Vecchione with 51 points (23 goals and 28 assists), junior Spencer Foo with 50 points (20 goals and 30 assists) and sophomore Sebastian Vidmar with 33 points (13 goals and 20 assists). Vecchione and Foo are both in the top four nationally in scoring and Vecchione is likely to be a finalist for the Hobey Baker Award. Coming into the season the big question was if Union could find any secondary scoring. They answered that question as multiple underclassmen have stepped up and provided much needed offense for the Dutchmen. That includes sophomore Cole Maier with 20 points (12 goals and 8 assists), sophomore Ryan Walker with 14 points (4 goals and 10 assists) and freshman Luc Brown with 12 points (5 goals and 7 assists). Sophomore Brett Supinksi has increased his freshman year 21 point campaign with 27 points (5 goals and 22 assists) this season while junior Ryan Scarfo's production is a big down with 13 points (5 goals and 8 assists) after having back to back double digit goal seasons. The Dutchmen are fifth in the country in offense at 3.87 goals per game and they have a power play ranked 25th at 18.79% (31-of-165). This shows how good of a five on five team they are as they don't have an elite power play. However its the top Union line of Vecchione, Foo and Vidmar that is the main threat on the power play with 17 of their 31 goals on the power play. 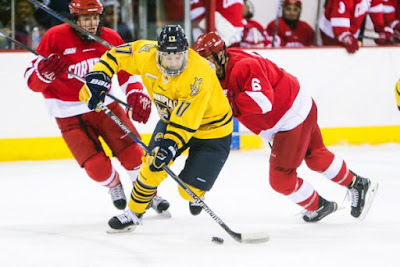 Quinnipiac will need to play fast, aggressive and disciplined defense against this impressive offense if it wants to be able to minimize Union's scoring chances in order to have a better chance at winning this game. While Union is only a middle of pack team in defensive scoring at 2.87 goals per game they have some solid experienced players back there doing a good job of keeping the puck out of the net along with limiting opposing team's scoring chances. The Dutchmen are very solid at blocking shots averaging 13.7 blocks per game led by veteran blue liner Nick DeSimone with 46 and freshman Vas Kolias with 45. They are also getting some very solid production offensively out of some of the defensemen. 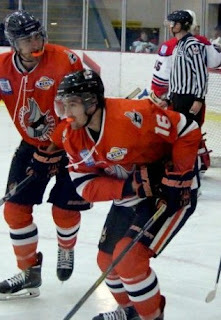 Senior Jeff Taylor is fifth on the team in scoring with 25 points (8 goals and 17 assists). Junior Nick DeSimone has 15 points (7 goal and 8 assists) while freshman Vas Kolias has 9 points (1 goal and 8 assists). Union doesn't have one the best penalty kills as well as they are only 38th in the country at 81.4% (105-of-129) but they hide this deficiency by being one of the least penalized teams in the county taking on 10.80 penalty minutes per game. 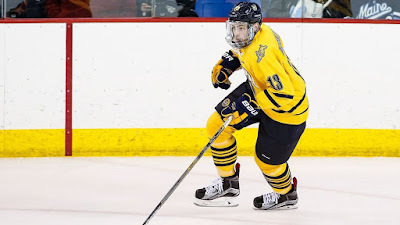 Quinnipiac has struggled to score goals at times this year with it's top two scorers both being defensmen (Chase Priskie and Brogan Rafferty). In goal Union senior Alex Sakellaropoulos has missed the last four games due to a left knee injury suffered against Saint Lawrence. Just yesterday it was reported he started practicing and could be available this weekend. 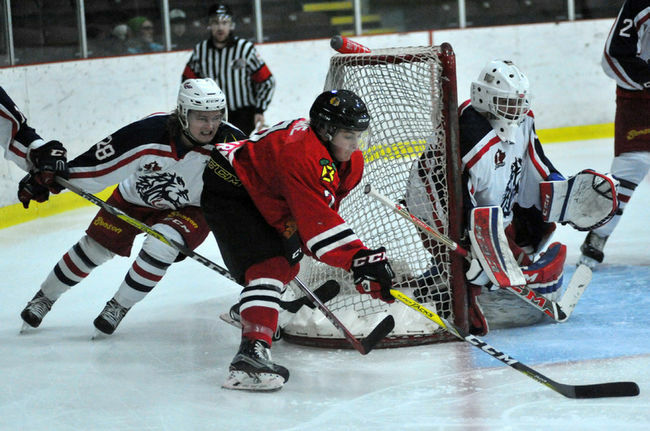 He has played well for the Dutchmen this season providing stability in between the pipes. In 22 games played he is 17-4-1 with a 2.44 goals against average and a .921 save percentage and had a 52 save performance against the Bobcats back in December. With Sakellaropoulos status not yet determined, Union would likely turn to sophomore Jake Kupsky, a 2015 7th round pick by the San Jose Sharks. He has started the last four games and gone 2-2 in that stretch. In 8 games played this year he is 3-4-1 with a 3.70 goals against average and an .887 save percentage. 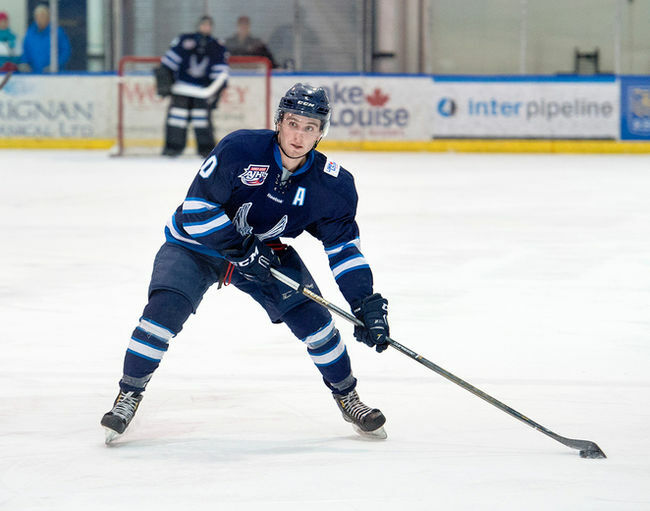 The hope is the Bobcats will be able to get some goals through Kupsky who has not looked great at times this season. If Quinnipiac wants to get into the top four they need to have a four point weekend on the road and it starts on Friday. Union is the better team at this point in the season but with Sakellaropoulos likely out again it may give the Bobcats the break they need considering how good he was back in December.